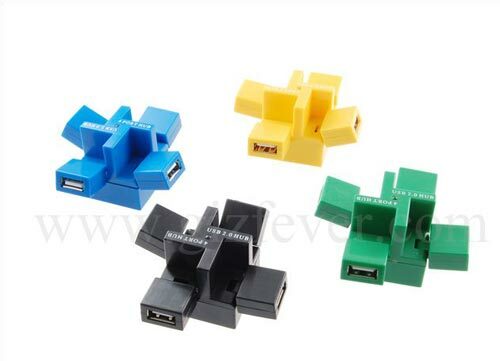 Check out this funky cubic four port USB hub. Fully compliant with the USB Specification version 1.1/2.0, full speed up to 480Mbps. Built-in 3.3 voltage regulator allows single +5V operating voltage, resulting in reduced overall system cost. Design with super streamline & min size with color LED show (particular models). 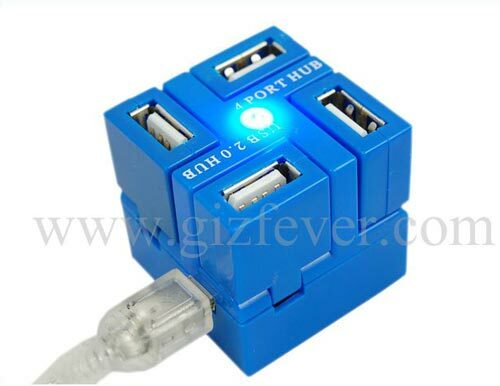 The cubic four port USB hub is available to buy online for $11.99 from Giz Fever.